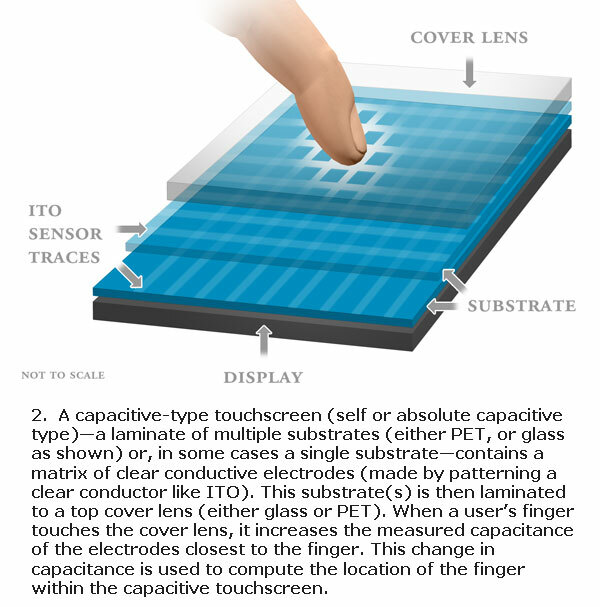 Any touchscreen device that consumers used, including the iPhone, has a transparent touch-sensitive material applied to it called Indium Tin Oxide or ITO for short. This material is mined from Meta Indium and is essential for the touchscreen to function. However, it seems that the source of the material is becoming scarce and is on the verge of running out, leaving the industry designers frantically trying to produce an alternative to the conductive coating. The sources of ITO have been predicted to run out in the next 10 years, with prices rising over the previous year by as much as 25 percent. In preparation, the industry experts have been presenting their alternative ideas at the Semicon West in San Francisco this week which include compounds such as carbon nanotubes and silver nanowires, both of which appear to be feasible replacements. Some manufacturers are already planning on incorporating ITO alternatives into their devices. Foxconn might beginusing carbon nanotubes in the non-Apple devices it makes by the end of 2013, and Samsung is working on prototypes that use graphene, according to Martinez. With ITO supplies raising alarm bells of manufactures across the world. it is reassuring to see that steps have already been taken to try and source an alternative to ensure that production and innovation is not halted by the lack of supply. Despite speculation that the new compounds could begin to hit the production line, there is still a lot of work to be done in correctly synthesizing a suitable alternative to fully replace ITO, but the big question remains – Should it have been allowed to get this close to running out, or should something have been done sooner to prevent such a situation? Let us know your thoughts in the comments section below.